The club was created in 2009 when South Moorlands FC and Cheadle United Juniors formed an open aged side to allow the two clubs older players to experience adult football in a developmental setting. The club had for the seasons 2009 – 2011 just the one side which played in the Staffordshire County Senior League. The sideheld its own but moreover two rivals had now shown that they could work together and in June 2011 the two junior clubs ceased to exist as they amalgamated with SMU as its become known to form a single club with players aged 7 to over 18years. 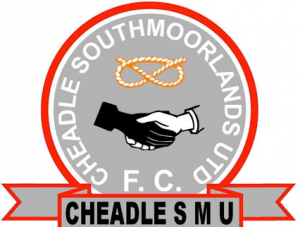 The clubs name is derived from its location – Cheadle in Staffordshire, from the two founding clubs South Moorlands and Cheadle United with a play on the ‘South Moorlands’ United as that is the area the club is based. The clubs badge symbolises the unity found in the new setup. The club continues to develop with imaginative ways of providing more opportunities for the whole community to play football. Its latest venture is to set up an over 50’s Walking Football. Its just the same as normal football except there is no running. The club now has around 20 players attending sessions. See the walking football page for more information.